Dr. Steven Gabel has committed his practice to helping individuals look and feel better about themselves through hair restoration. 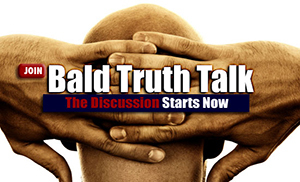 He is a board certified doctor who has been performing follicular unit hair transplantation for the past seven years. He is also an active member of the International Society of Hair Restoration Surgery and lectures on the subjects of hair loss and hair replacement. After graduating with honors from Michigan State University in 1990 with a Bachelor of Science in physiology, Dr. Gabel went on to earn his medical degree from the Loyola University-Chicago, Stritch School of Medicine in Illinois. He followed these studies with a one-year internship in general surgery at the Loyola University Medical Center and a four-year residency in Otolaryngology – Head and Neck Surgery at the same center. During his time at Loyola, Dr. Gabel engaged in research studies on the process of new blood vessel growth in head and neck cancer. Following his residency, Dr. Gabel elected to complete a one-year fellowship at the University of Missouri focused specifically on facial plastic and reconstructive surgery, where he was actively involved in numerous hair restoration procedures. Dr. Gabel continues to keep abreast of the many developments in the field of hair restoration surgery through his active involvement in professional organizations. In addition to his membership in the International Society of Hair Restoration Surgery, he is a member of several other highly respected medical associations and societies. These include the American Academy of Facial Plastic and Reconstructive Surgery, the American Academy of Otolaryngology – Head & Neck Surgery, the Oregon Medical Association, and the Alpha Omega Alpha Honor Medical Society. Over the years, Dr. Gabel has been recognized numerous times for his research projects, winning several first place and other top national awards. He has also lectured and published extensively on the subjects of hair loss and restoration, facial cosmetic surgery, and head and neck surgery, and he has taught hair restoration courses to beginning surgeons. In addition to his active practice, Dr. Gabel is a devoted runner and outdoor enthusiast, as well as a private pilot. He has run the Chicago Marathon and the Portland Marathon, and he is often to be found downhill skiing, water skiing, mountain biking, hiking, golfing, or flying. Northwest Surgical Hair Restoration is the solo practice of Dr. Steven Gabel and is dedicated specifically to the needs of the hair restoration patient. Dr. Gabel offers a real, practical solution to patients looking to recover their former appearance by naturally growing their own hair. 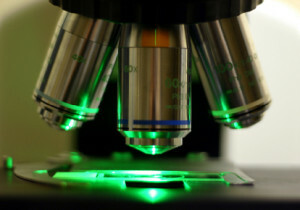 He specializes in follicular unit hair transplantation, one of the most advanced micrografting hair restoration techniques available. All surgery is performed in our private, in-office surgery suite under local anesthesia. This suite is tailored specifically to the needs of the hair restoration patient, featuring state-of-the-art surgical equipment and microscopes, as well as the latest in patient amenities, including a full selection of music CDs for patients to enjoy during treatment. Dr. Gabel’s private office and surgical suite allow him to get to know his patients on an individual basis and provide a superior level of personal attention. This is very important to the doctor. There is no consultant or “salesperson” who does the initial interview and teaching. 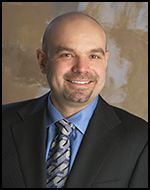 Dr. Gabel personally meets with his patients for every one of their visits. During consultations, he spends as much time as necessary to get a clear picture of his patients’ goals and expectations. He then provides an honest assessment of their needs and tailors his recommendations to each individual patient. Next, he designs a treatment plan that includes both medical and surgical options. This level of personalized attention continues from the initial consultation through the surgical procedure and the postoperative visits. If you are considering hair replacement surgery and would like to consult with Dr. Gabel about your options, contact Northwest Surgical Hair Restoration today. The doctor offers free, no obligation consultations and would be happy to sit down with you and discuss your hair restoration possibilities. Dr. Gabel is recommended by The American Hair Loss Association and The International Alliance of Hair Restoration Surgeons. 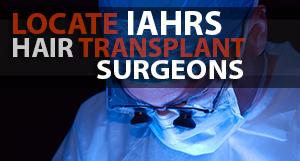 Ask Dr. Gabel a question on The IAHRS Hair Transplant Info Center.